Thank you for being part of our community. Thank you for your fierce, passionate, committed activism. Thank you for the big and small ways you work to address and end the breast cancer epidemic. We’re proud to work alongside you, challenging and changing the status quo in breast cancer. Members like you are the reason Breast Cancer Action exists. And we can’t thank you enough for your support. Thank you for calling out pinkwashers, for being one of thousands to demand the American Cancer Society and the Personal Care Products Council stop giving toxic cosmetics to women in cancer treatment through their Look Good, Feel Better® program. 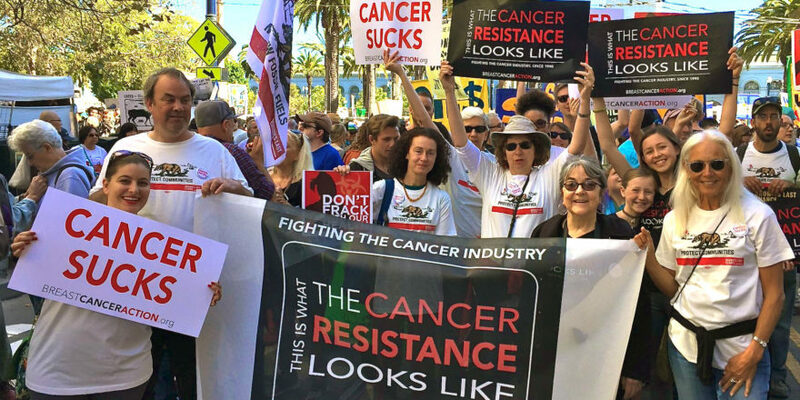 Thank you for ensuring a safer, less toxic world for all of us by demanding stronger federal regulations of fracking, a toxic process that relies on cancer-linked chemicals that can get into our air, food, and drinking water – and our bodies. Thank you for standing up for patients by supporting the Lymphedema Treatment Act, which would require Medicare to cover treatment for this common, debilitating side effect of breast cancer treatment. Thank you for supporting our work, for donating to Breast Cancer Action so that we can refuse money from corporations that profit from or contribute to breast cancer. 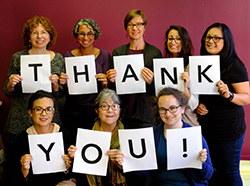 We are so grateful for your loyalty, your activism, your support, and your courage. Challenging the status quo isn’t easy, but by working together, we make it possible. Thank you. ← Heads Up – Dec. 1st is Giving Tuesday!